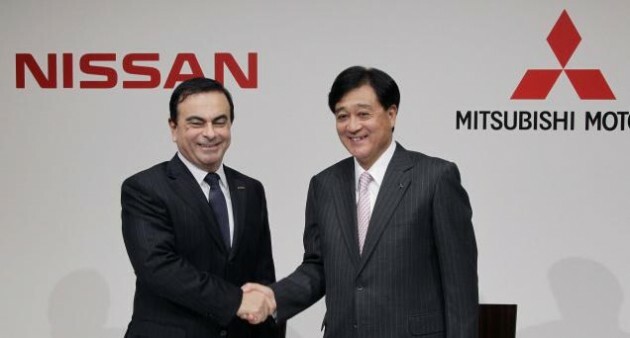 Last week, Japanese automakers Nissan Motor Co., Ltd. and Mitsubishi Motors Corporation announced that both companies are strengthening their collaboration by expanding the number of models they make for each other in the Japanese Domestic Market. 1. Nissan will provide the Fuga luxury sedan to Mitsubishi Motors starting from summer 2012. 2. The two companies have started deliberations on the provision of Mitsubishi Motors’ MINICAB-MiEV commercial mini EV to Nissan in fiscal year 2012. In the auto industry, it is fairly common for such OEM deals. A distinctive example of OEM will be the Toyota iQ and Aston Martin Cygnet. With this business model, it allows companies to cut costs by increasing production scale and to expand their line-up of types of cars. These new projects follow on a prior agreement for Nissan to provide the NV200 Vanette compact van to Mitsubishi Motors starting from October 2011, together with the establishment of the joint venture NMKV Co., Ltd., in June 2011.